Ji-Stu hurries to tell Otter, but when they return the great Chief is gone. Otter, who did not believe Ji-Stu's story in the first place, slips into the water to catch a wood duck, his favorite feast. Ji-Stu decides to catch the Chief as he reappears. Ji-Stu, famous for tricking others, manages to outwit himself. When he catches the Chief of All the Wood Ducks, the Chief tries to drown Ji-Stu and then takes him for a flight the rabbit will never forget! Ji-Stu flies high above the People's village, hanging on to the Chief for dear life, while two little boys below barely miss him with an arrow. He will see those two boys again - and this time he will need all his skills to escape! 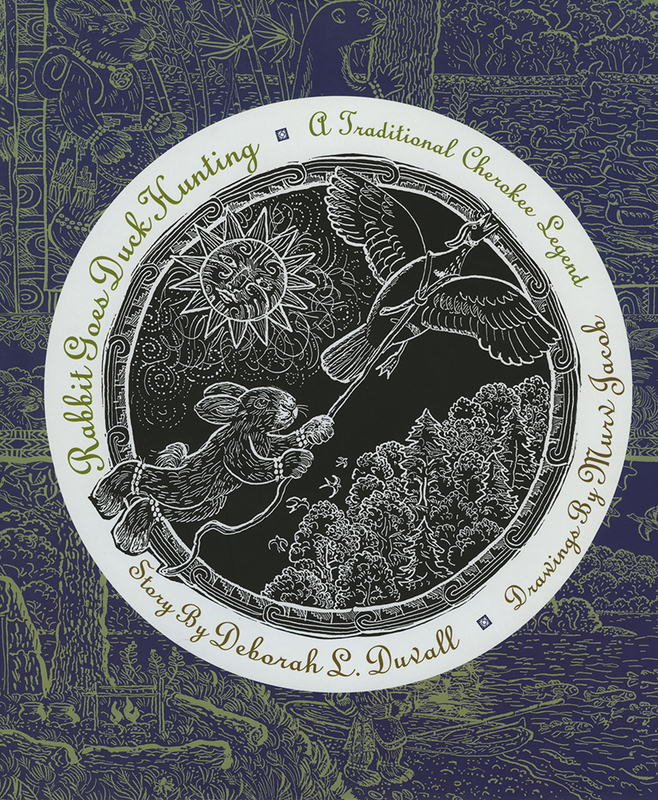 This is the fifth of Deborah L. Duvall's collaborations with Murv Jacob on the Cherokee Grandmother Stories.